Students will examine the agricultural landscape and its most precious ingredient – fertile soil. 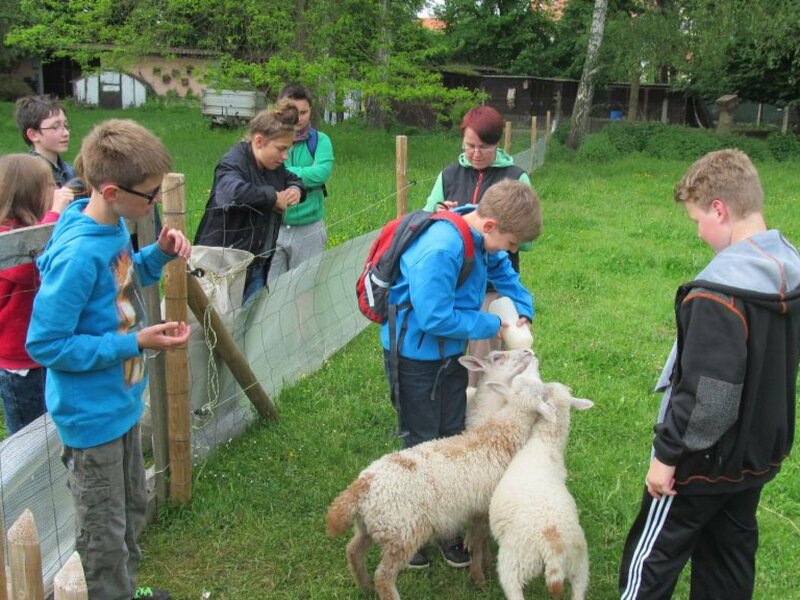 At our educational farm students will meet with farm animals and basic types of cereals grown in the Czech Republic. They will be grinding grain by hand to make their own flour for flatbread and they will learn how to prepare yogurt or cottage cheese. Together we will discuss ethical questions about livestock breeding and handling. Students will cooperate in a group project, examining a chosen type of food and its way from the field to our table. In the evening we will make a bonfire, sit around it and enjoy the outcome of the student´s project – a simple theatre showing how our favorite food is made. Of course, students will experience real scientific work too; they will learn how to work with a microscope and observe lactic acid bacteria derived from yogurt. A whole day trip would not be missing from our schedule either!